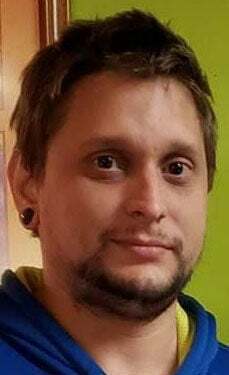 Zachary John Doyle, 29, of Danville, Vermont, formerly of Sioux City, passed away suddenly at his home on Feb. 3, 2019. Celebration of life service will be 2 p.m. Saturday at Waterbury Funeral Service of Sioux City. Visitation will be 11 a.m. to 2 p.m. Saturday at the funeral home. Online condolences may be left at www.waterburyfuneralserviceinc.com. Zachary was born in Sioux City, on Oct. 14, 1989, son to John Wynn and Dawn (Doyle) Stewart. He graduated from East High School in 2007. In his younger years, Zachary loved the outdoors, riding bicycles and going fishing with grandpa. He was truly a grandma and grandpa’s boy. He loved video games and Pokemon cards. He was a Pokemon Master. Zach was always joking around and laughing. He loved playing pranks. He was a sucker for bad movies and cheesy music; that was part of his charm. He truly loved animals all his life. He worked as an electrician’s apprentice in North Dakota. He enjoyed being busy and was one of the head cooks for 4 Brothers in Sioux City, and was manager for several chain restaurants, some at the same time. He could fix practically anything from computers to cars. He was very smart and was a proud co-owner of the Gadget Shop LLC. Zachary leaves behind his mother, Dawn (Bryan) Stewart; son, Jayden Smith; brothers, Michael Sturgeon and William Stewart; stepbrother, Justin Arens; grandparents, Walter and Louise Stewart; mother-in-law, Tammi Snow, all his beloved pets; along with so many other family members and close friends that he held so dear. He will always be forever missed and loved by his son, Jayden and Samantha Smith. He will always be in our hearts. He was preceded in death by his father, John Wynn; grandparents, Sen. Donald V. and Janet Doyle; Leland and Paulene Wynn; and his beloved dog, Milo.